Dogfish Head Brewery: Why are your IPAs numbered? 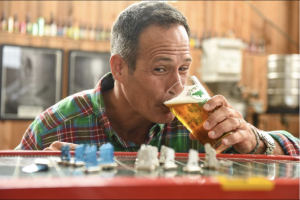 In our recent interview with Dogfish Head Brewery founder Sam Calagione, Sam discussed how his idea for continual hopping in the India Pale Ale (IPA) style of beer helped put the brewery on the map and establish Dogfish Head’s reputation as an innovative brewery. 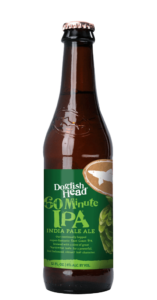 Once 90 Minute IPA was established, a shorter hopping schedule was established, and 60 Minute IPA was born. Once a lighter IPA was born, the crew at Dogfish set about making the strongest IPA in the world. Dogfish Head’s 60 Minute IPA, 90 Minute IPA, and 120 Minute IPA (from left to right). How many hops can a beer hold? The brewery dubbed 120 Minute IPA ‘the holy grail for hopheads’ and the beer’s reputation grew from there. “120 Minute started off at 20% alcohol, but we’ve dialed it in now to come in right about 18% alcohol. We’ve found over the last 7-8 years that is where its balance is best,” Sam says. “Unlike bigger beers that drink like a liquor, 120 Minute still drinks like a beer. Our huge beers are meant to drink more like beers – they’re carbonated like a beer, they just have way more flavor, complexity, and hoppiness. We sell the beer in single-serve bottles, but it’s best when split between two people or drank over the course of an evening,” Sam admits. 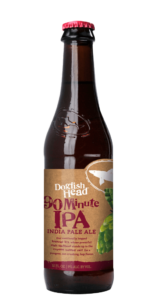 After 120 Minute IPA was well established, the crew at Dogfish Head noticed that taproom co-workers were creating a new beer, calling a blend of 60 Minute IPA and 90 Minute IPA “75 Minute IPA.” The brewery then made a cask-conditioned version and released it back in 2011. The brewery has decided to bring back this iteration of IPA with an addition of maple syrup for the 2018 holidays. Pick up one of these packs today and see just how hoppy the holidays can be! 75 Minute IPA (7.5% ABV): Now in our latest iteration, this classic IPA is again brewed with maple syrup from Sam’s family farm in Massachusetts, while being continually hopped throughout the boil, and then dry-hopped with a slew of cascade hops. 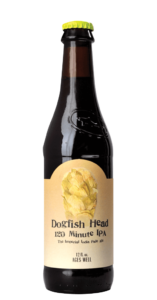 The result is a malty and earthy brew with citrusy-pine aromas, balanced by subtle maple notes. 120 Minute IPA (15-20% ABV): 120 Minute IPA is continuously hopped with a copious amount of high-alpha American hops throughout the boil and whirlpool, and then dry-hopped with another pallet of hops. Unfiltered and abundantly hoppy, it’s the Holy Grail for hopheads! We brew 120 Minute IPA a few times a year, but it goes fast. If you find some grab a few bottles — some to enjoy and some to age. 60, 75, 90, or 120? Try one or all to see what your favorite hopping number is! Head over to our Beer Finder to see where these packs can be found near you! 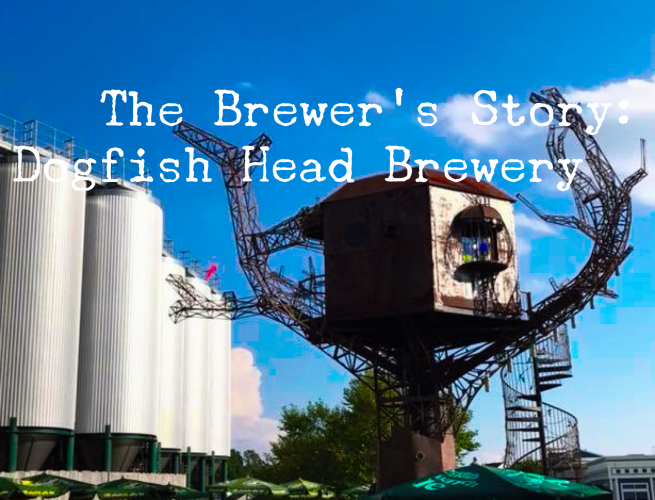 Dogfish Head Craft Brewery started in 1995 as America's smallest brewery and now they're the 12th largest! Join us as we talk to owner Sam Calagione about the beers, the future, and the ideas pouring out of the brewery. 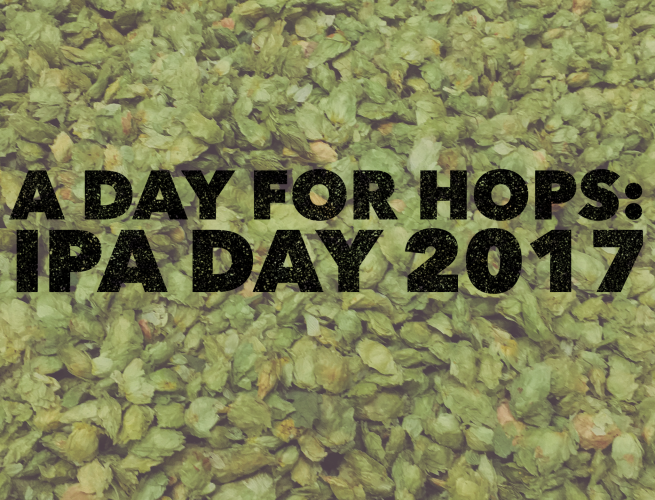 IPA Day 2017 brings joy to all hop heads and the love of hoppy beer to all. Look no further for ideas, descriptions, and suggestions for IPA Day 2017.